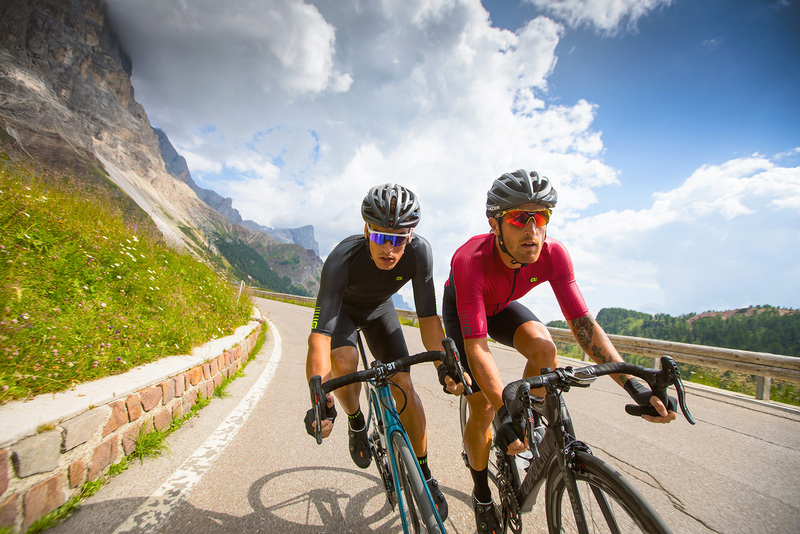 This jersey has been designed for cyclists looking for a technical aero jersey, with a classic and uncomplicated style. Alé has a strong connection with female cyclists, and the women’s version has a specific female fit. A new jersey with an elegant but edgy look, able to offer comfort, style and performance thanks to the well-considered selection of high-performance fabrics that are combined to make this item. The main fabric is Sensy AQ, the perfect mix of microfiber with 28% of LYCRA® to guarantee the best aesthetic and functional qualities. 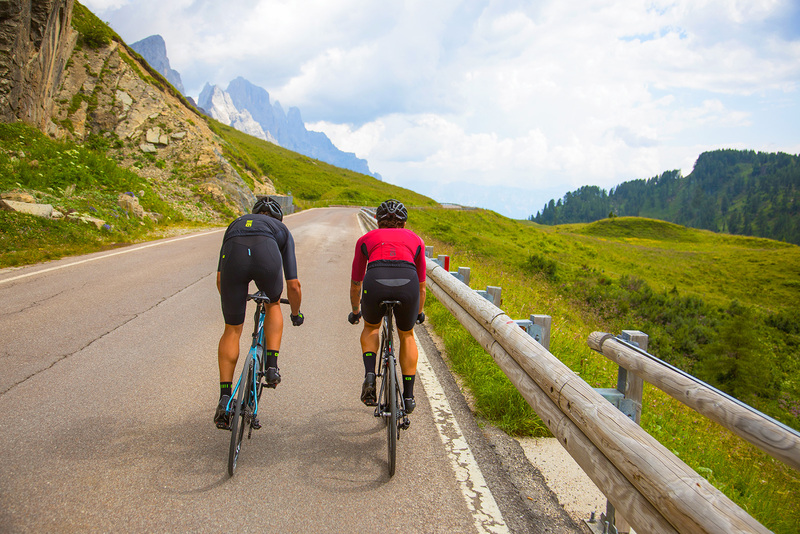 This three-dimensional elasticity microfiber wraps the body, offers freedom of movement and a flawless fit, assuring strength and durability even after numerous rides. Light and soft to the touch, the open weave fabric facilitates air circulation, reducing the drying time and therefore ensuring a constant feeling of freshness, dryness and hygiene. The sleeves in AERO MINI RIB, with its “ribbed” weft and always with three-dimensional elasticity, are designed according to the Aerodynamic Body Mapping system to favor a substantial reduction in friction caused by the air. 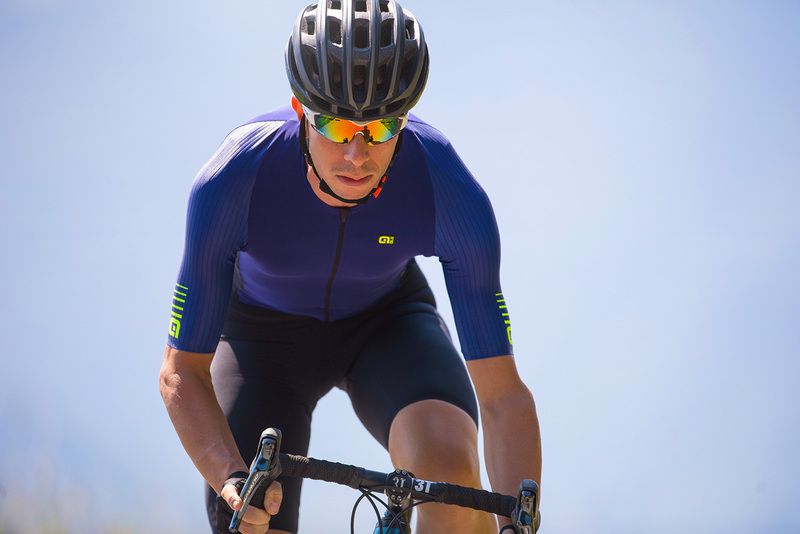 Finally the breathable and elastic sides in AERO CHECK MESH make this product adaptable and versatile, suitable for any type of race or training. UV protection (UPF50 +) for both the body and the sleeves. Ergonomic cut, tight fit but still comfortable thanks to the elasticity of the materials. Longer sleeves finished with a dye-cut both to improve aerodynamics and to offer comfort and a modern and professional look. Low anatomical collar, shaped for maximum comfort in race position. Long reverse zip embellished with chin guard and zip garage to avoid any annoying friction on the skin or on the shorts. Front waistband with elastic bonded hem to comfortably adhere to the abdomen while the back side has a silicone elasticband to stabilize the fit and keep the garment stable on the bibshorts. Comfortable back pockets to hold everything you need for training. Fourth pocket in the lightweight and breathable AERO CHECK MESH, closed by YKK zipper to secure documents, telephones, keys or money.